This year the Cheeky Charlie collection of Keyrings are all named after types of fabric. 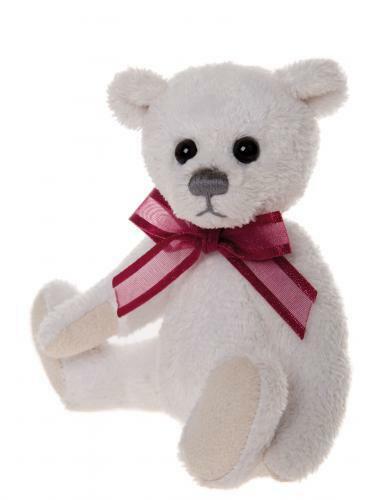 Satin is a gorgeous little bear in plush like crisp white satin. Fully jointed and finished with tiny detail of a gorgeous organza bow she will look after your keys or hang on your bag to travel with you anywhere. Comes with own printed drawstring bag.